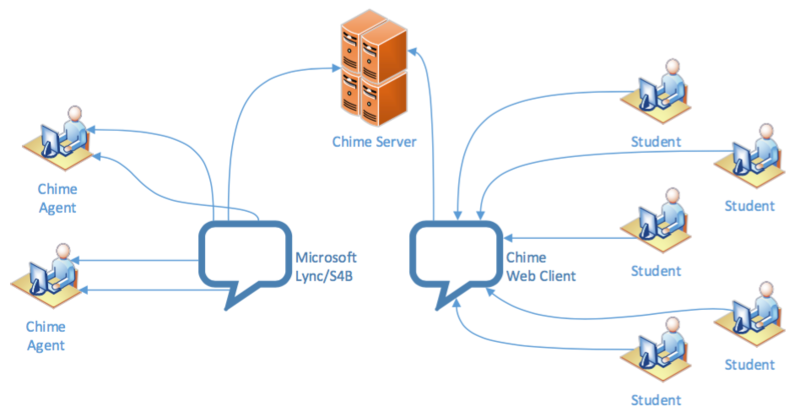 See how Chime for Microsoft Lync/S4B has helped students stay connected with their university. 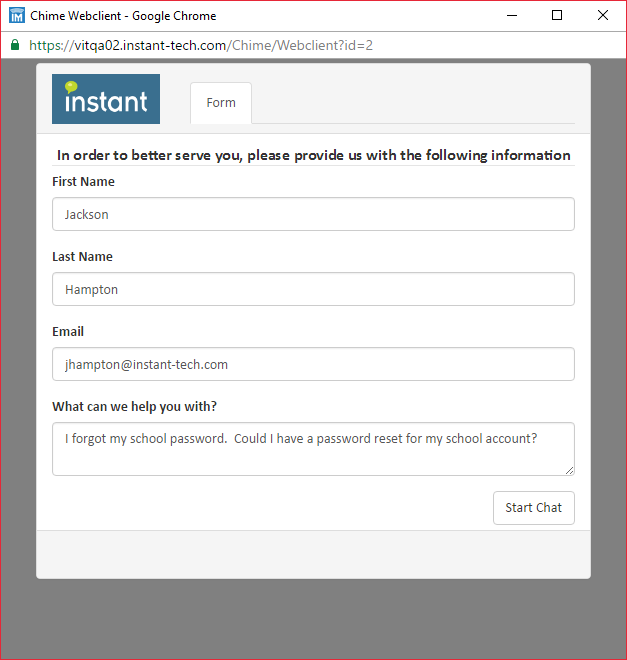 A university has now found a way to easily stay connected with their students. 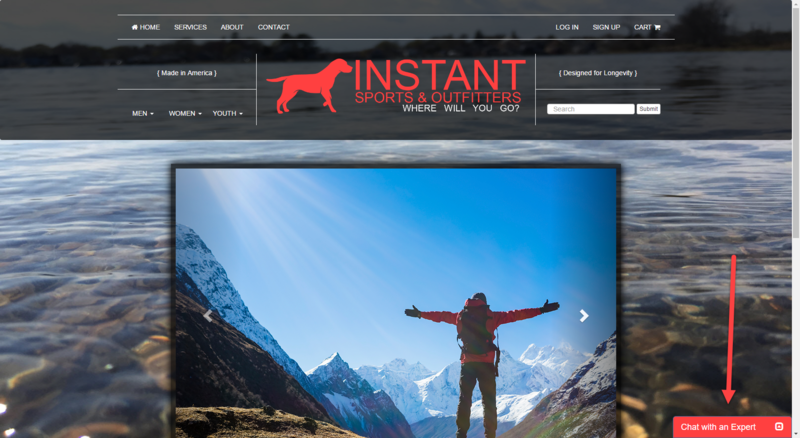 No more running around, no more waiting...students can get the help they need and avoid unwanted stress or setbacks. 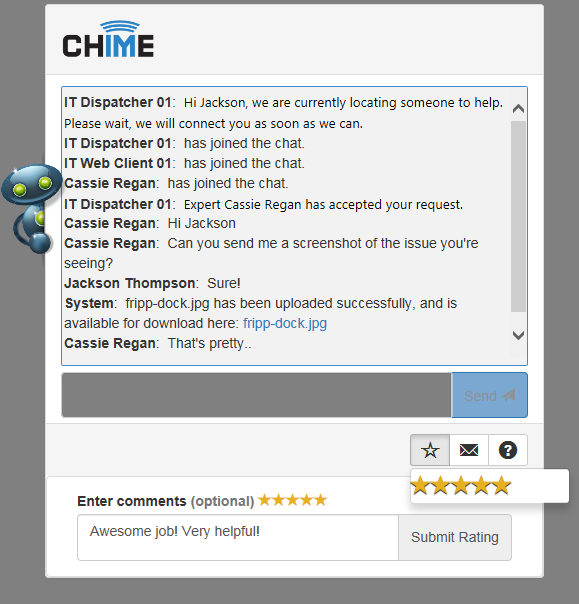 "Chime has allowed us to provide click-to-chat support to students at various areas in the library." 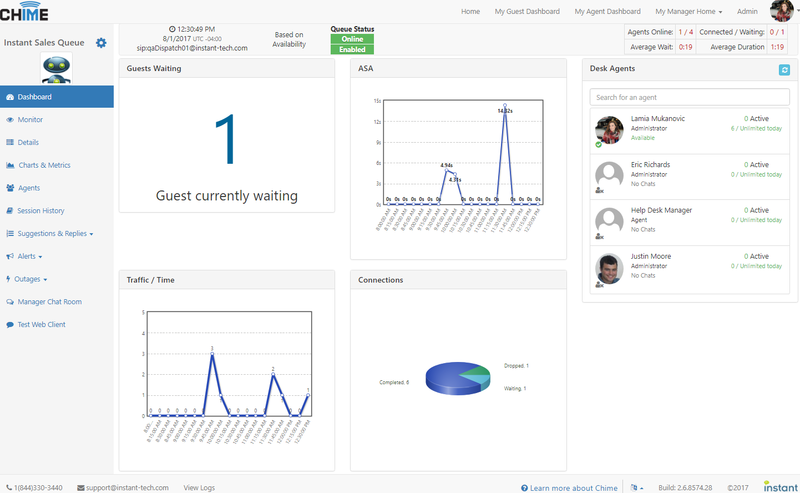 The university service desk is tasked with giving support to all students across all floors in a multi-floor library. If students need help, they must come to the service desk. With over 300 computers in the library and thousands of students, it can be hard for students to get help in a short amount of time. 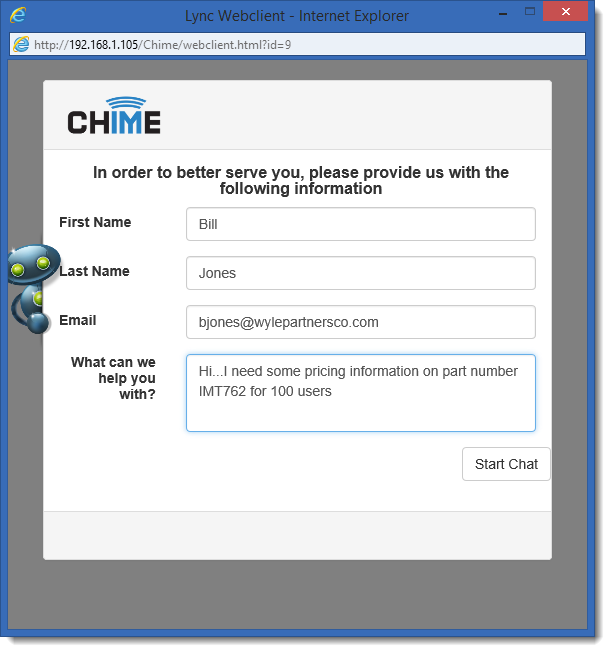 Chime allows the library's service desk agents to use their existing Skype for Business accounts to chat with students who need help. 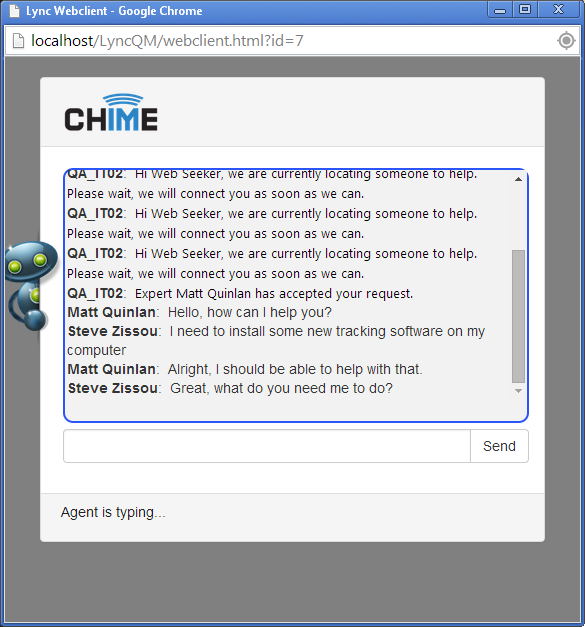 By adding a link to the Chime web client on the library's main web page, students can get help from whatever computer they are using. 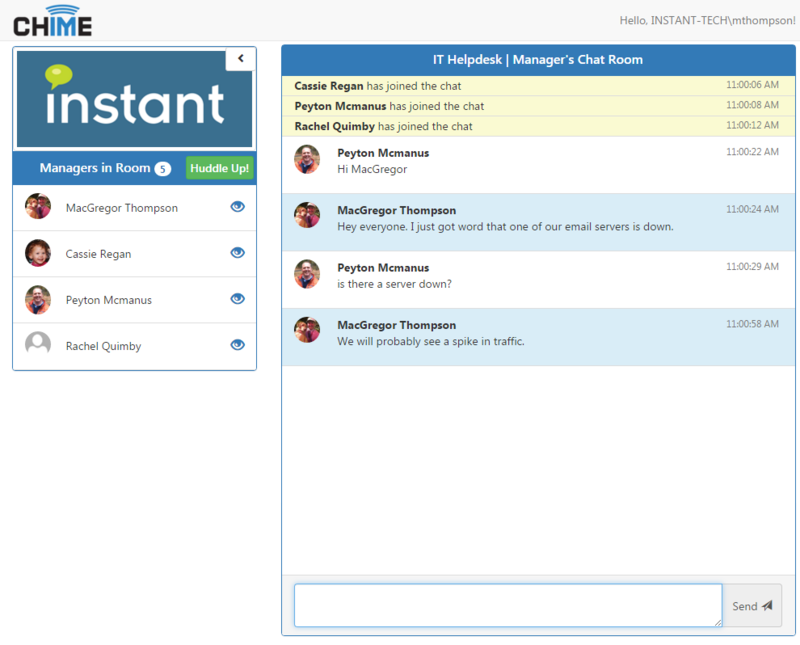 The IT Computer Support Coordinator with the university using Chime recently stated, "We have been using Chime to support our student population in the library. 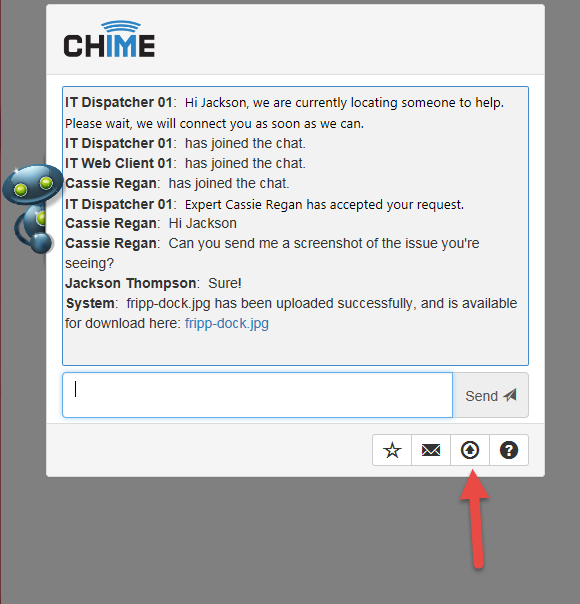 Since the library has over 300 computers across three floors, and we are located on the first floor, Chime has allowed us to provide click-to-chat support to students at various areas in the library. 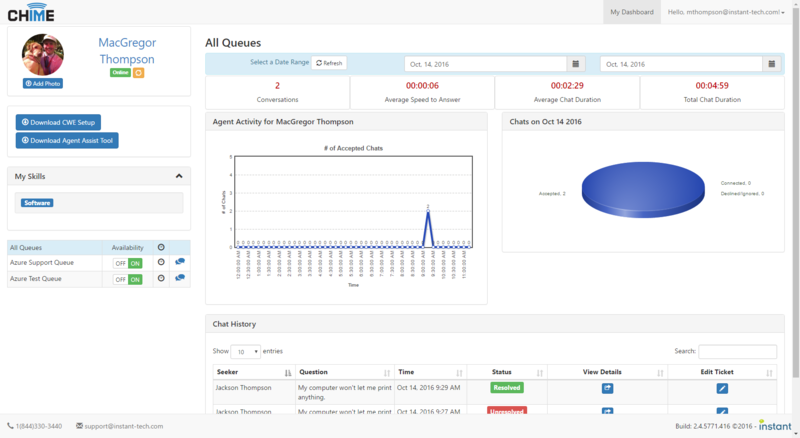 We use it to answer questions, or dispatch a technician to meet with the student. It allows the student to avoid packing everything up to walk over to see us." "We plan on rolling this support out to the faculty/staff this summer to be able to provide them another avenue to get support. 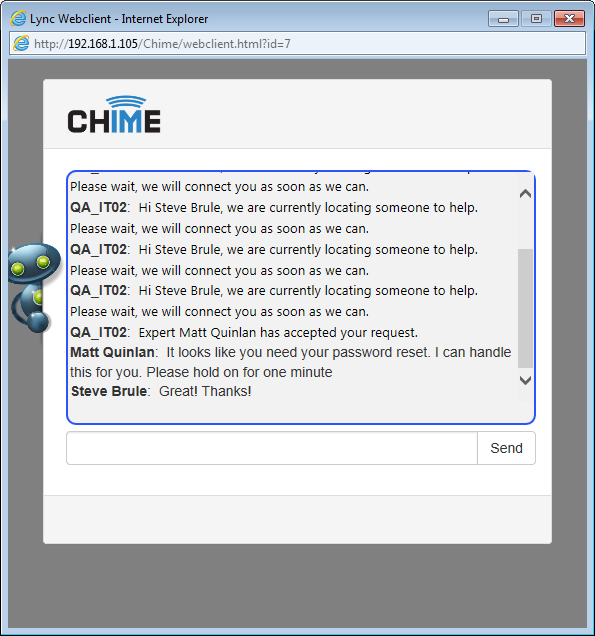 The Chime solution has been well received over the Spring semester that it has been implemented. 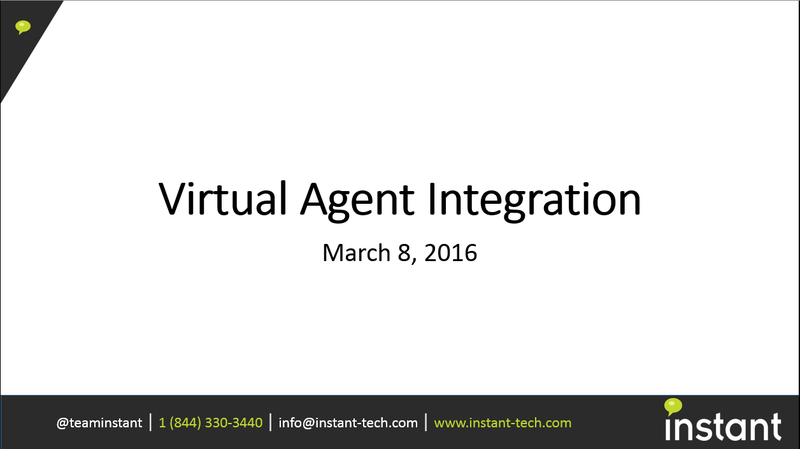 We plan to continue to integrate its capabilities into our service offerings." 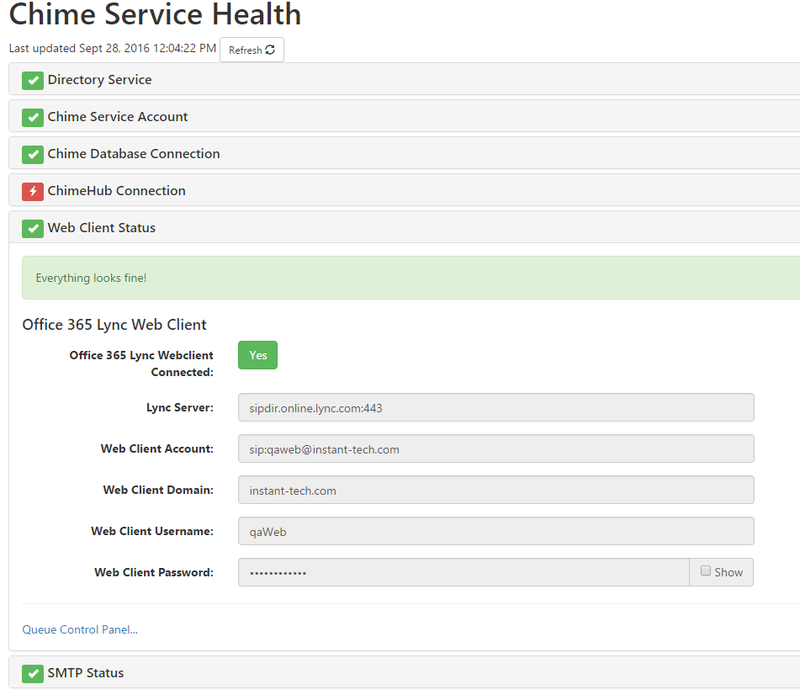 Security is a high priority and major concern for most organizations, including universities. Exposing anything to the DMZ without precautions is a major security risk. 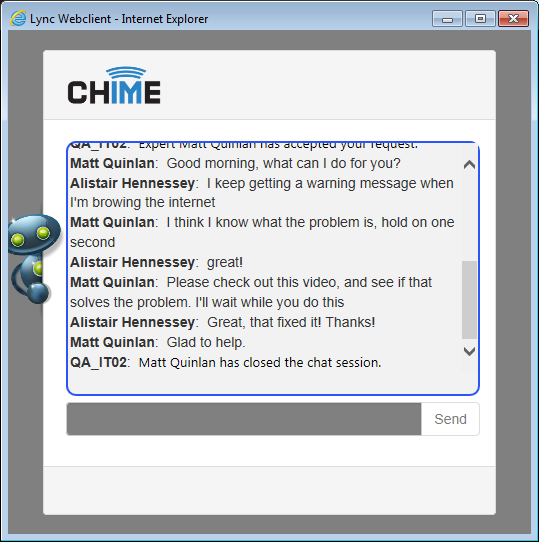 By having Chime live inside the university's firewall, the university prevents any unwanted access to their environment.